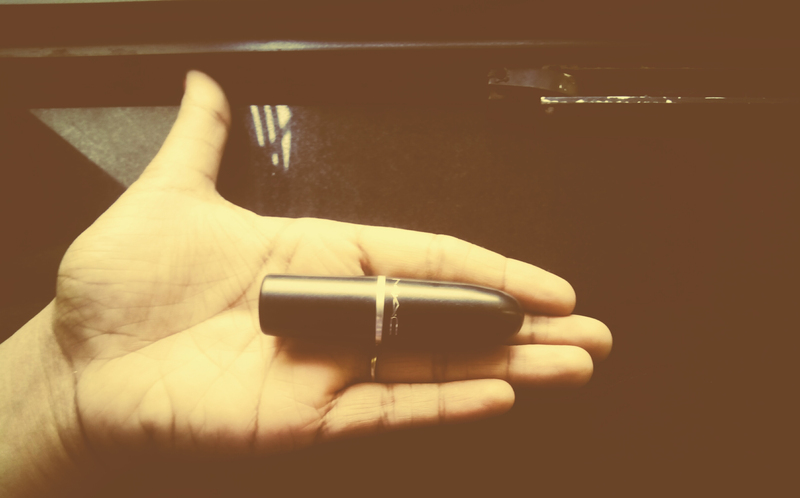 I have this new found fascination for lipsticks these days . This had been on my wish list for a very long time but I didn’t want to invest on them till I absolutely learnt the art of using lipsticks . This has been a best seller for quite a long time now , I am pretty late reviewing this one but here it goes . 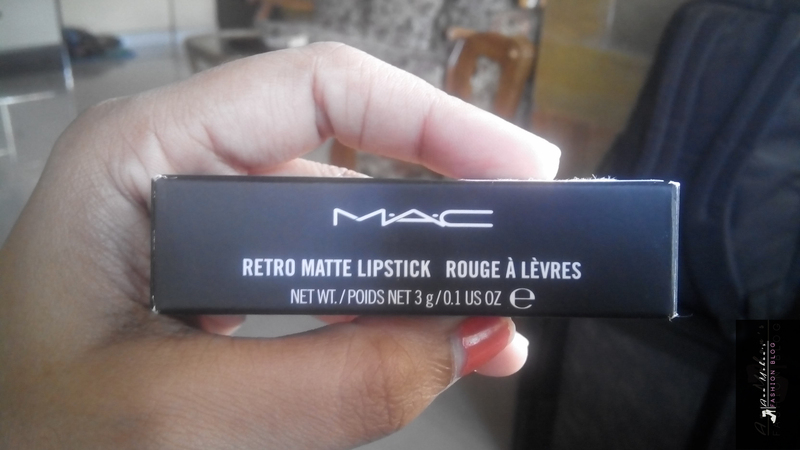 I got MAC Ruby Woo Shade and I thought why not review it 😛 I have done swatches , FOTD and lot of photos were taken for this review 😛 (Not Complaining ) !!!! Like the name suggest , the color has a deep pink undertone just like a natural ruby would look like.I love that it suits my skin tone ( I have strong yellow undertone) , initially I would suggest you girls to try it out in a showroom and then purchase it as I felt it suits warm skin-tone far better than cooler ones. The ingredients used has an amazing wax that just slides down your lips and give you the MATTE look . Personally , retro shades have always looked good on me so I am not a gloss kinda person any day . Going back to the review , a huge love for the packaging . 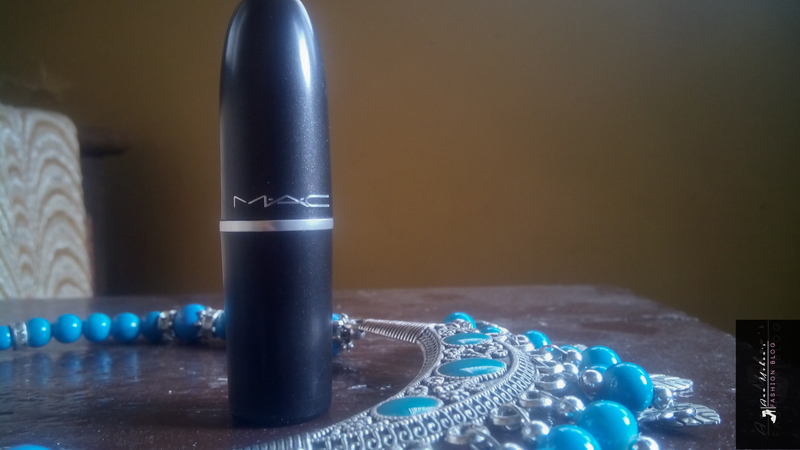 The MAC Lip shades always have a standard packaging , the shiny black body which is extremely compact and the lid is really tight. So , it is pretty easy to carry in your purse or your bag. 2.The staying power is equally good , with lip liner it stays for like 12 plus hours and without lipliner it stays for 10 hours. 3.I love the stain it leaves when it fades . 5.The color is amazing on Medium/Olive skin tone , for fairer skin tone I would recommend MAC Dangerous instead. 1.If you have a dry lips , this is not for you . Most people I met find this lipstick really drying though I don’t face that problem. 2.Doesn’t work for extremely cool skintone, would recommend you to try it out before buying . Will I recommend it ? Yes , definitely one of the best lipsticks around . I waited too long for this one and now I feel that I should have tried this one out long time back . This is such a gorgeous red shade. Looks so flattering. Great review…well written. Ruby Woo was my favorite until recently. 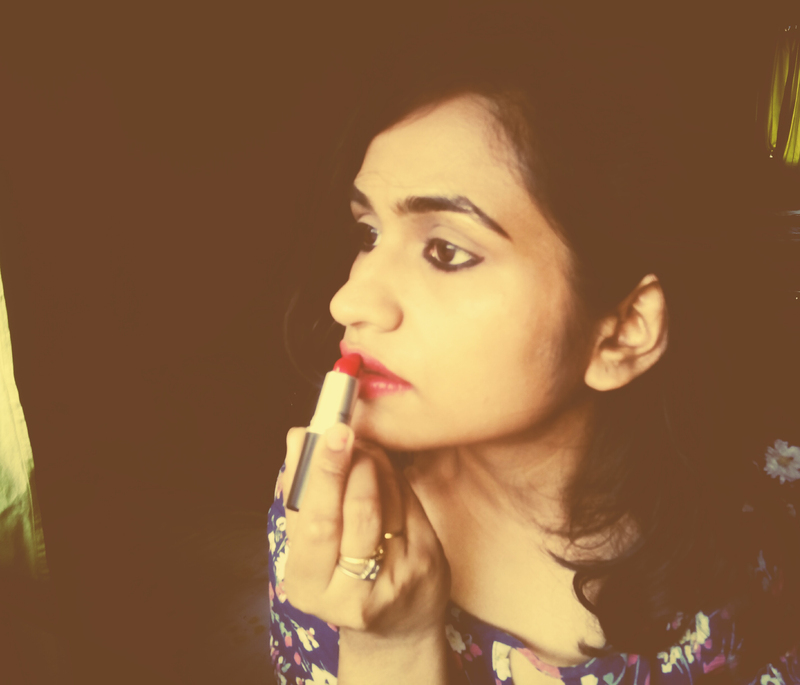 I found Harlow red Art stick by Bobbi Brown and my life changed…you gotta try it! Did a post on it a couple days back, check it out if you want.